121 Commercial Real Estate and Properties in Western Qld are listed in 8 categories. We have 44 Industrial Warehouses for Lease , 40 Offices for Lease , 31 Retail Shops for Lease , 7 Commercial Farms for Lease , 3 Development Lands for Lease and 2 Hotels and Leisure for Lease . Quality Offices For Lease $450 a Week + GST Outs In.. Outstanding office with copious amounts of natural light Highway visibility or exposure to this 78sqm office. Managers office and a board room and balance is open plan. This is the last offices available in smart new complex. A shared kitchen and toilet facilities. Prominent signage with high level of passing traffic Ample on site parking Coffee Club, KFC & Subway on site Inspect today & move right in! NB: Prospective purchasers should satisfy themselves by inspection or otherwise as to the accuracy of the above details. 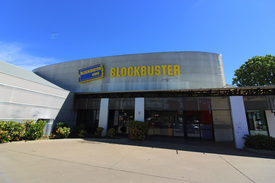 Excellent exposure on the Warrego Highway, Excellent position beside Dominos Pizza. Shop Area is 80 sqm with Large shop front area with a office / staff room kitchenette. Split System air conditioner in main shop area. Plenty of rear parking Ideal retail outlet or office space. Landlord PAYS Outgoings NB: Prospective purchasers should satisfy themselves by inspection or otherwise as to the accuracy of the above details. Lease A, Front lease with access from Emmerson St. Total Land / Site area 2,715 m2 Warehouse total floor area 245 square meters 2 Powered Roller Doors Front doors slide open for access from the street Office floor area 32 square meters Carport shelter at the front of the offices. Full bitumen hardstand to yard area Security fenced with access at edge of shed The property is in great condition Shared entry with front lease and neighbours Lockable land area approx 800m2 to 1,000M2 NB: Prospective purchasers should satisfy themselves by inspection or otherwise as to the accuracy of the above details. Lease B being at the rear of the property. 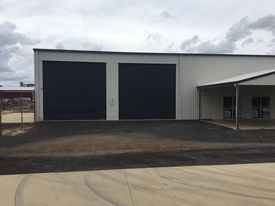 Total Land / Site area 2,715 m2 Warehouse total floor area 245 square meters 3 Powered Roller Doors two on front and one back for drive through access. Office floor area 32 square meters Carport shelter at the front of the offices. Full asphalt hardstand to yard area Security fenced with access at edge of shed Wash bay The property is in great condition Shared entry with front lease and neighbours Lockable land area approx 800m2 to 1,000M2 NB: Prospective purchasers should satisfy themselves by inspection or otherwise as to the accuracy of the above details. This quality facility was constructed in 2010/2011 and comprises a workshop/warehouse and offices. The workshop/warehouse has a floor area of 1,000 Sqm It has three roller doors and a dual gantry crane installed. The modern and functional office is 100 Sqm, with four individual offices, reception, conference, lunch room and staff facilities. Extra toilet facilty in Warehouse / shed. The land area is 5,011 m2 – it is security fenced and has bitumen hardstand. It also has a internal wash bay. It is Zoned “light industrial”. The property is well located in the western industrial area and will suit a variety of uses. Annual rent: $170,000.00 plus outgoings plus GST. Sale price: $1.95 million plus GST “ Phone Warren Daniells on 0427 468 591 for further information. NB: Prospective purchasers should satisfy themselves by inspection or otherwise as to the accuracy of the above details. Prominent Position & Potential 42,000 + GST Inclusive of..
Great position in a busy travel centre. 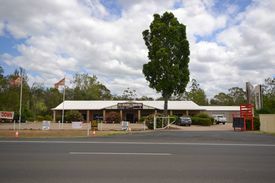 Village Travel Centre is ideally positioned on the Eastern entrance to Chinchilla on the Warrego Highway. Join Caltex, KFC, Subway and Coffee Club and take advantage of the busy location. Lease Area 61 m2 beside Coffee Club Ideal for Tobacconist or other fast moving consumer products. Some equipment available if required. Quality equipment and most is in as new condition. The business previously operated as a Takeaway and specialized in Kebabs. New floor coverings, S/S sinks & benches installed in May 2018. Awesome opportunity for the right person should you wish to consider the equipment that is currently in place. For more information or to inspect contact Marketing Agent Warren Daniells on 0427 468 591. NB: Prospective purchasers should satisfy themselves by inspection or otherwise as to the accuracy of the above details. 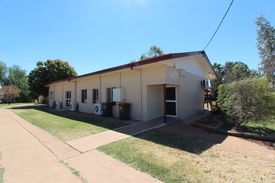 Quality Offices In Chinchilla\'s Main Street $4,000 A Month + GST - In.. Located in a very tidy complex just off the main business area of town. between the Westpac Bank and the RSL. Excellent office fit out in place. 40sqm storage shed at the rear of the property. Onsite parking and street parking. $4,000 A Month + GST Includes OUTGOINGS Note: This Property is also available For Sale. For further information or to arrange an inspection Contact: Warren Daniells on 0427 468 591 Email: warren.daniells@suratbasinrealestate.com.au NB: Prospective purchasers should satisfy themselves by inspection or otherwise as to the accuracy of the above details. Highway Retail Or Offices At A Budget Price $200 a Week + GST Include.. 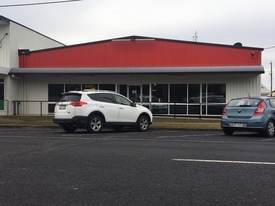 Excellent exposure with Warrego Highway frontage Between Dominos and Max Fitness facility. Plenty of rear parking Prominent signage position Ideal for retail or offices Year 1 at $200 a Week + GST Year 2 at $225 a Week + GST Year 3 at $250 a Week + GST OWNERS PAY OUTGOINGS: Rates, Property Insurance & Water NB: Prospective purchasers should satisfy themselves by inspection or otherwise as to the accuracy of the above details. Last Unit remaining in this quality complex Total of 7 units in this complex. 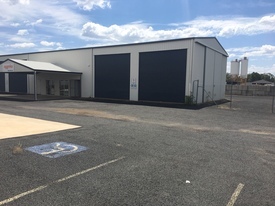 220sqm units each with easy access Enough room for offices, showroom or storage Join a host of national & international businesses in the Surat Basin Industrial Park. Owners will support new tenant with office fit out if required. NB: Prospective purchasers should satisfy themselves by inspection or otherwise as to the accuracy of the above details. Prime Position & Quality Offices $41,500 + Outgoings + GST.. These offices feature an immaculate classy fit out that has to be seen to be appreciated. 214 m2 of offices and work stations. Boardroom, IT room, and various offices and work station layouts. Located in a prominent building on the Warrego Highway Excellent signage opportunity so you can really make a statement Over 100 car parks on site Inspect today! NB: Prospective purchasers should satisfy themselves by inspection or otherwise as to the accuracy of the above details. Warrego Highway Exposure $90,000 pa + GST + Outgoi.. 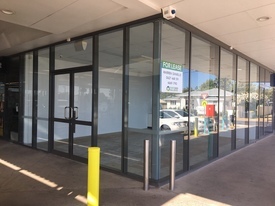 Highly Visible Shop Front Available - Rent Negotiable $300 Per Week + GST + Out..
Quality Offices For Lease From $450 a Week + GST Ou..
Quality 80 sqm office or retail / beauty space. Rear lease area above Coffee Club Copious amounts of natural light Has a separate office / room The front 70 m2 office also available Create 150 sqm. These are the last offices available in smart new complex Lease from $450 + GST. This includes Outgoings. Ample on site parking Coffee Club, KFC & Subway on site Inspect today & move right in! NB: Prospective purchasers should satisfy themselves by inspection or otherwise as to the accuracy of the above details. Highway visibility or exposure to this 70sqm office. positioned on the front of level 2. The 80 sqm office behind this also available. Each office has copious amounts of natural light Combine both offices to create 150 sqm. These are the last offices available in smart new complex Prominent signage with high level of passing traffic Ample on site parking Coffee Club, KFC & Subway on site AVAILABLE NOW... NB: Prospective purchasers should satisfy themselves by inspection or otherwise as to the accuracy of the above details. Retail Shop At Woolworths Centre $42,000 + GST Outgoings I.. Positioned at the entry of Woolworths Chinchilla. Corner shop with loads of widow exposure 58m2 retail shop space would suit a vast amount of options. The past tenant was a Jewellery Shop. LEASE PRICE INCLUDES OUTGOINGS. Join Woolworths, Reject Shop, QGC and Bottle Mart. Suit beauty and or hair salon, fashion and coffee shop Woolworths Chinchilla trades 6 days a week. NB: Prospective purchasers should satisfy themselves by inspection or otherwise as to the accuracy of the above details. MOVE IN WHEN YOU NEED TOO.... 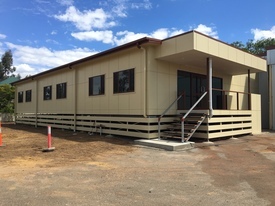 This Solid Block Building on a 660 m2 corner block on northern side of Chinchilla. Great location and flood free Solid block 224sqm building on 660sqm corner block As new carpets and new vinyl to the rear store room area. Solar Power 20 Panels Installed Air Conditioned & Fully fenced OWNERS WILL PAY THE RATES AND INSURANCE Would suit owner occupier for offices and or retail. FOR LEASE and FOR SALE.... NB: Prospective purchasers should satisfy themselves by inspection or otherwise as to the accuracy of the above details. Food Opportunity In Sarina - Includes Furniture Fitout Contact Cecelia today! Shop 22, Sarina Shopping complex Fantastic retail food opportunity with all the hard work done! Fit out in place, some furniture included, cold room, sinks, front serving counter, drinks fridge, fully ducted air conditioning, stainless steel bench tops, range hood. Huge exposure and plenty of signage available. 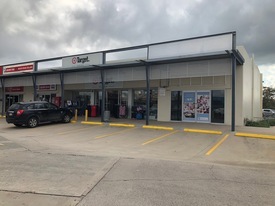 Surrounded by successful retail stores to compliment the tenancy with anchor tenant IGA Supermarket. For an inspection please contact Cecelia Reed on 0437 438 234. Commercial Property In Excellent Location $200,000 P/A + GST + OUTG..
New Multi Purpose Facility 70,000 P/A + GST + Outgoi..
READY NOW.... QUALITY NEW BUSINESS PREMISES. Property lends itself to many numerous uses. Huge open plan showroom and ample storage or warehouse space. Past Life the property was home of Pendergast CRT and TJM 4 x 4 Centre This NEW building has been rebuilt from the ground up. Land Area of 1,770m2 and a corner block New Showroom or Office area 282m2 Existing Shed 361m2 with high clearance Total area of just over 640 m2 The building will be fully compliant to the Building Code. Wheelchair lift Owner will consider building the internals to suit long term tenant. Full plans available on request. For more details Phone Exclusive Agent Warren Daniells on 0427 468 59. NB: Prospective purchasers should satisfy themselves by inspection or otherwise as to the accuracy of the above details. Central Location - Superb Retail Or Offices $76,800 P/A + GST - NO OU.. Lease this quality 384 m2 building in Bell Street. Totally renovated or refurbished and ready to lease. Ideal location for Retail and or Office complex. 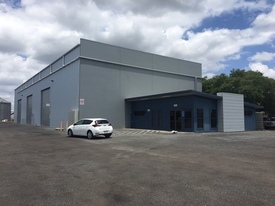 Fully Air conditioned High ceilings with superb lighting Rear loading access bay Onsite parking LANDLORD TO PAY OUTGOINGS $76,800 P/A = $6,400 P/M or $1,477 a Week. Contact Warren Daniells on 0427 468 591 to inspect this quality office. NB: Prospective purchasers should satisfy themselves by inspection or otherwise as to the accuracy of the above details. This 180m2 office has been smartly designed and a very practical layout and it will suit a multitude of uses. 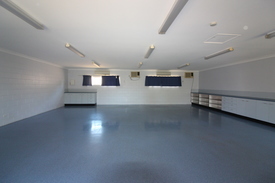 Great locate, busy Chinchilla Medical Centre complex Features include: Dual front entry Large or small reception option available 4 offices, 3 open work stations or meeting rooms Staff room Disabled and a second toilet facility Board or large meeting room Server / storage room Ample off street parking at the rear Ducted air conditioning OUTGOINGS: LANDLORD WILL PAY RATES, INSURANCE, FIRE & PEST CONTROL. Contact Warren Daniells on 0427 468 591 to inspect this quality office. NB: Prospective purchasers should satisfy themselves by inspection or otherwise as to the accuracy of the above details.